Christians question the right of “politically naive” bishops to speak for them. Cardinal Oswald Gracias, Archbishop of Bombay, head of India’s bishops’ conference [CBCI] and a member of the council of cardinals instituted by Pope Francis in April to advise him on Church reform and governance, this week met with Congress Party chief Sonia Gandhi. It is not the first time a Catholic archbishop has met the chairperson of the United Progressive Alliance which rules India. All four Indian cardinals have met her at one time or the other in courtesy calls, or to bring to her notice some Church issue they thought important enough for government action. They of course also meet Prime Minister Manmohan Singh and his ministers sometimes. Other bishops routinely meet chief ministers such as J Jayalalitha of Tamil Nadu or Sheila Dikshit of Delhi, again for mundane local issues, or to urge them to set right some irritant hindering the functioning of a school, or to press the cause of some aspirant to political or administrative office. In some states, Christian ministers routinely call on bishops for support when elections come around. These are presumed to be natural functions of a Church head, or of a diocese in the service of the people. Heads of other religions also call on Gandhi and Singh and meet the heads of other political parties in a similar vein, so there is nothing unusual in the ‘princes of the Church’ contacting rulers of the realm. In fact, some other religious heads are blatantly political, or are political functionaries themselves, unlike in Christian churches. 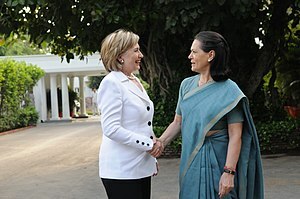 But what drew attention in Indian newspapers, political circles and social media regarding Gracias’ meeting was the CBCI note which said the cardinal “appreciated the key role played by Sonia Gandhi” in getting the Food Security Bill passed into law by parliament. With general elections due any time before May 2014, and several state legislatures up for grabs in November and December, election fever is slowly gripping the country. There are some who interpret the cardinal’s visit and remarks as pledging support to the Congress Party. More so since the popular view is that Christians have always supported it. This is not entirely a myth, for the Congress is seen by Christians as among the few political groups that swear by secularism and is not wedded to one religion. The Communist parties are also secular, but Christian leaders have been suspicious of them ever since the 1950s when Kerala’s first Communist government sought to meddle in the management of Church-owned educational institutions. 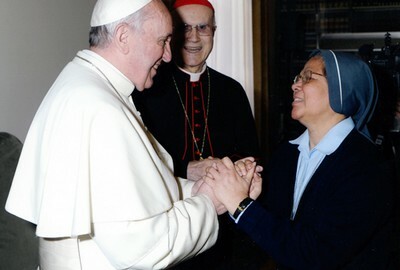 The controversy comes when lay voices challenge the right of the bishops and heads of churches – of all denominations – to speak on behalf of Christians on issues which are entirely temporal, and in fact political, and therefore within the rights of lay men and women. And specially when their words seem entirely partisan and commit the entire Christian community to a course of political action which may not, be desirable in the long run. It does not help that the religious leadership is also seen as being politically naive. The Bharatiya Janata Party (BJP) remains an anathema to Christians and Muslims across the country – despite the fact that in Goa some Catholics voted the local BJP into power because they had tired of a very corrupt local Congress leadership. In Gujarat and Delhi, some Christians are now warming up to the BJP, saying that the party could shed its Hindu-centric agenda once it is in power. There are other political alternatives with a secular and pro-poor agenda. But while church leaders want to tell political parties that they represent and speak for their communities, hardly anyone has ever taken any steps to educate and train their laity in political processes, ideologies and grassroots mobilization. The result is that barring a few states, Christians are almost absent from local political processes. There is gross under representation in village, block, district and state elected administrative structures. The cardinal congratulated the President of UPA for the approval of the Food Security Bill, defining the decree – which provides for the distribution of low-cost food for 800 million poor people – as “a giant step towards the government’s care for the needy and the oppressed”. Gandhi assured the Archbishop that “the concerns raised will be seriously addressed” and said they appreciated “the services rendered by the Catholic community in many fields, particularly education and health care”. Orson Noronah is one of the disillusioned Indians like so many others like you and us. Unlike us, he is known for his outspokenness, whenever he feels that something is going haywire. 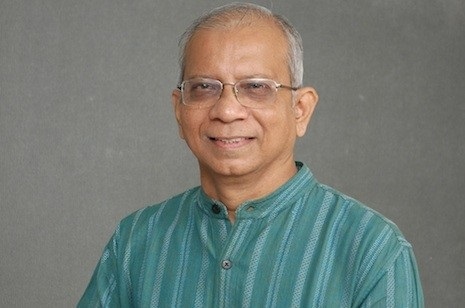 He is the Parishioner of OUR LADY OF ASSUMPTION CHURCH, KANDIVALI; regular follower of SILENT VOICE and active member of SOUL – SAVE OUR LAND Committee. We need to get some perspective on the food situation here. Blaming the BJP or the Congress is rather a simplistic explanation as BOTH are complicit being two sides of the same coin. Fact is after one of the General Elections when we faced a hung parliament, the BJP had even offered to rescue the Congress with an offer of a “National Government” just like they have in Israel! Mention was made at the time that even our economic and foreign policies are ALIKE to which the Congress has yet to give a rejoinder! History has shown us that whenever these two gorillas have taken India for a royal ride – a third front – be it Janta Party or Janta Dal has emerged from the grass roots of concerned citizens. This time perhaps a new formation will do a hat trick leaving no room for manipulators. Ours is an agrarian society – for the past so many millenia despite the bogey of the “New Economy” of flashy cars, cable TV and malls. We WRONGLY believe the PM is the most powerful man in Government – but let me put these thoughts across – an army marches on its belly and so does the entire populace. The Brits came to India PRIMARILY for Indian cotton. Gold and power followed much later. Point is he who controls the farmer controls ALL. That man is the Agriculture minister- moreover if that man is chronically corrupt you are bound to have these gruelling times. Are we to believe that vagaries of the rains NEVER occured or that crops never failed for all these years? Why then do the price of onions and other essentials touch the sky when the incumbent has been at the helm as the State CM or as central minister for agriculture? Being in a position of power, he is also buttressed by STRONG anti-hoarding laws. When numerous TV channels have done STINGS exposing hoardings, why has not even ONE hoarder been taken to task? On the issue of Goa – do you know you can’t ask for pork or beef openly in the BJP ruled state populated by MLA’s who are Christian mostly. What are these folk doing in a “non-secular” party – what drove them there after so many Congress years? Why did the Congress not create the infrastucture for jobs that are eco-friendly- like computer software, textiles- if heavy industries are not possible? Why has the Church done nothing to improve education out there – these questions are being swept under the carpet. 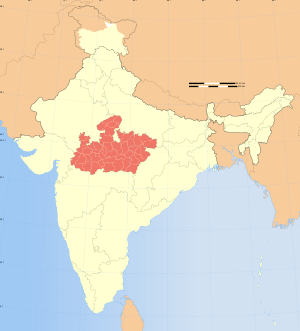 Why is there such a HUGE amount of dropouts in a Tourism friendly state knowing English (Ditto in the North-East)- where locals are outnumbered by a factor of THREE? Why do the boys end up as waiters – are there any answers? Despite collecting photographic evidence have they punished a SINGLE ****** for rioting outside Police HQ – burning police vehicles and killing cops last year – instead they transferred the Commissioner of Police despite instructing him to be a mute spectator. Police is headed by the same RR Patil who made insensitive comments post-bomb blasts of 26/11. The Congress and its branch NCP have had a SECRET anti-Christian and overtly pro-Muslim agenda ( all along masquerading as a SECULAR party)! Therefore, The Congress has lost the moral authority to expect our support which it took for granted. The BJP has been overtly pro-Hindu from day one and it is best to stay away from them – they promise nothing and deliver nothing to us so why deliver votes to them? That said, BOTH are ROGUES and two sides of the same anti-Christian coin. I want to ask Alex – are the baniya shopkeepers and traders only BJP sponsors? 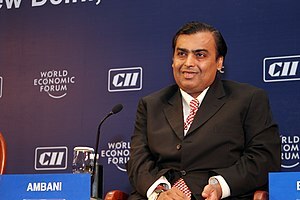 IS not BIG baniya Mukesh Ambani a backbone of the Congress. Today sadly the nation be damned – the elected representatives follow the “Party High Command” not the law of the land, not ethics. Which is why the Courts have to step in to ensure rule of law – despite your elected representative SWEARING in at his induction to do so and DELIBERATELY failing. One more quickie – do you even realize the HUMONGOUS amounts swindled in the countless scams. Those monies belong to the people of India NOT Swiss banks of rogues masquerading as netas and babas. Are you trying to suggest that these scams too, were thanks to the BJP that has hardly seen a decade in the Treasury benches at the centre? If so, then we have a SHADOW government of the saffron colour? Leave these things – why is that even to apprehend a brigand like Verappan it took more than three decades for a Congress soaked in power since independence. All this talk of chhadiwala baniyas and topiwalla netas is EYEWASH designed to keep the masses SUBDUED. In the 70s even for a few annas price rise, people especially housewives took to streets amid clanging or bartans (utensils). Today the government – both the centre and the state has defanged these fiesty womenfolk by turning them into SOAP opera addicts. Very simply put they have ensured by their DUMB policies that INSIPID serials with adultery as their core, get endless extensions. That CEREBRAL serials including serious quiz based (not KBC) and MORAL one like Aasman se aage, Bible ki Kahaniyan etc get aborted prematurely. You as the electorate do not hold the VARIANTS and DEGENERATES accountable for their GROSS acts of commission and omission. Rather than punish them at the hustings, you put them on a pedestal as if you have no other saviour, you RE-ELECT the same scum. You cry out against corruption, yet you feed this very same monster via cash deals, paying for your flat in BLACK or donations for your kids schools sans receipt. This is NOT a problem created by the POLITY alone – it is a SYSTEMIC and ENDEMIC deeply-rooted issue requiring collective will. Why do you vote for or not protest against appointments like the Maharashtra Home Minister, whose insensitive comments post-bomb blasts raised a few hackles but he got reappointed to the very post despite proving to be INEFFECTIVE in his domain. If your security guard is bad, you trash him. An elected representative is your SERVANT not the master. Why the double standards? Even as a populace we do not think in terms of a nation. We are still saffron, green and other colours – but not INDIAN – even among Christians we are Goans, Mangalorean, East Indian and what not. We are even North Indian and South Indian as if two nations co-exists on this vast land. The British started divide and rule – we are slavishly continuing and wallowing in their muck. We simply buy the fairy tales of the Govt. The submarine is drowned just one day before Independence day right inside the safety of our dock yet we don’t question the motive by thinking outside the box. We downed two costly recon aircraft of Pakistan Armed Forces a few years back. Could it be retribution? Even before looking at all angles or even prior to investigation, we are told by the Defense Minister sitting in New Delhi, it is an “accident”. Ditto for Mantralaya; fire destroying land record specifically triggered by the unnerved land-lobby after laser survey of land-records is announced. Before the firemen even reach there, CM announced a “short-circuit”. We trust lying officials more than investigative journalists and concerned citizens. There is need for introspection. My suggestion – vote NOT for a party but for the most capable and HONEST candidate using your conscience as a guide to get some semblance of a democracy back to India. On September 15, two days after the right wing Bharatiya Janata Party (BJP) named Narendra Modi as its prime ministerial candidate, he addressed a public meeting. Before a huge crowd, many of them ex-servicemen, Modi said it was he who envisioned and built the 700km Kutch pipeline, which carries fresh drinking water across Gujarat state to troops stationed on the border with arch-foe Pakistan. The three-time Gujarat chief minister said he did it out of respect for the soldiers stationed at the border. This statement was obviously greeted with thunderous applause. But it was far from the truth. The Kutch pipeline was initiated in 1985 by late prime minister Rajiv Gandhi. In January 2001, Gujarat chief minister, Keshubhai Patel, Modi’s predecessor, inaugurated it. By May 2003, barring a small stretch up to the border, most of the work was done. Under Modi, it was finally completed on August 16 2013, more than 10 years later. His speech demonstrates how he simultaneously takes credit for the achievements of others and glosses over his own inactivity. 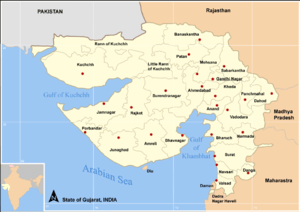 Gujarat in Western India has been one of the country’s more progressive and industrialized states. Today however, there is much hype over the so-called “Gujarat development model” under Modi, who has been chief minister since October 2001. But these are highly manipulated statistics, since Gujarat economic data for the years preceding 2001 was even more impressive. Gujaratis are known for their entrepreneurial skills and financial acumen. And economists tell us that Gujarat would have achieved this level of economic growth with or without the BJP; with or without Congress; with or without Modi. In fact, under Modi, Gujarat’s social indicators are abysmal. Child malnutrition has increased; the male-female ratio is widening; the status of women has declined; unemployment and poverty in general has grown. So what is being flaunted as “development” or “good governance” is essentially a sham. On the human rights front, Modi’s performance is poor. The killing of more than 2,000 Muslims and the displacement of several thousands more during the “Gujarat carnage” of 2002 took place on his watch. Several legal cases in which he is named as the primary accused are ongoing. The National Human Rights Commission and even the Supreme Court have stated that responsibility for the protection of those citizens was definitely his. In March 2003, Modi introduced the Gujarat Freedom of Religion Act, one of the most draconian laws in India. It is clearly aimed at those who want to embrace another religion, and contravenes the Indian constitution, which guarantees Indians the right to preach, practice and propagate one’s religion. In February 2006, at the Shabri Kumbh Mela, a Hindu religious gathering in the Dangs area of Gujarat, Modi ranted and raved against Christian missionaries and their work. Modi has also been accused of being behind the alleged killing of several Muslim youths, in what are commonly known as “police fake encounters,” in which officials kill “armed” people in stage managed shootouts. In a 10-page letter written on September 1, D G Vanzara, a former senior Gujarat police official who was jailed several years ago in connection with the killing of several of these innocent Muslim youths, pointed the finger directly at Modi and Amit Shah, the former state home minister. He said he and other accused policemen were following government policy. Modi has been schooled in the ideology of the Rashtriya Swayamsevak Sangh (RSS), an extremist, right wing, paramilitary organization that was allegedly responsible for the assassination of Mahatma Gandhi and several recent terror attacks. The core teaching of the RSS is “Hindutva”– the formation of a Hindu nation state where minorities, particularly Muslims and Christians, are accepted only as second class citizens. There is little doubt that Modi subscribes to this Hindutva agenda which goes against the secular, democratic and pluralistic fabric of the constitution. Thus promoting Modi as a prime ministerial candidate poses a very serious threat not only to India, but also to the whole of South Asia. Modi’s style as a politician, besides being divisive, is also authoritarian. This style does not have a place in an era where coalition politics has come to stay in India, and which emphasizes the need and importance of collaborating with political partners across the spectrum. 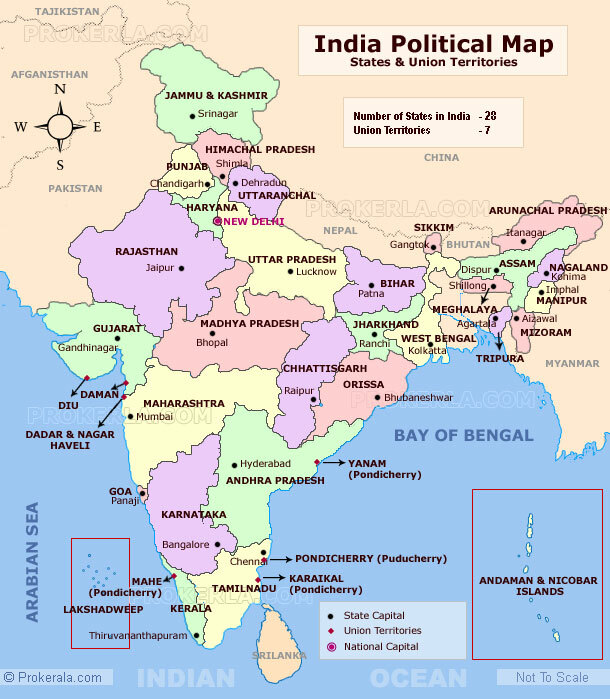 National elections in India are due in May 2014. Candidates who are likely to win seats are those who best represent the interests of all, particularly the poor and the marginalized. The ‘Modi for PM’ campaign will be on overdrive in the coming months. But the people of India will vote for a party or an individual that stands for the democratic and secular traditions of the country based on justice, liberty, equality and fraternity. Modi does not fit this bill. The church and the state are supposed to be natural opposites. However, the BJP’s opposition to Catholic evangelism has not stopped its government in Goa from joining hands with Catholics to lobby with the Vatican to get Pope Francis to make a “historic” visit to Goa in the upcoming election year. If the Vatican says yes, the Pope will visit the BJP-ruled state in 2014 for the “exposition of Jesuit St Francis Xavier”, a priest who heralded Christianity in Goa in early 1500. Incidentally, he is said to have played a part in the brutal acquisition of Goa in the 1540s, when Christianity was imposed using force and violence on the people. The Catholic Church arranges for its devotees to see the saint’s relics in a glass-topped silver casket once a decade, an event which is known as the “exposition”. “We have earnestly requested his Holiness to visit the country for the exposition and have the active support of Goa’s ruling party in this endeavour. We hope that the Pope says yes,” said a priest with the Archdiocese of Goa who wishes to remain unnamed. According to him, the BJP leadership has asked the Diocese to route the invitation through the Union Government as the state government, by itself, cannot invite the Pope as he happens to be a head of state. On its part, the saffron party is not keen on remembering the forced conversion issues associated with the evangelist. “St Francis is an icon for Goan Catholics. We would be proud to have the Pope in our land for the exposition. We are coordinating with the Church to make it happen,” said a BJP leader belonging to the Catholic community, who has been assigned the task of dealing with the church on the matter. “The visit may take place after the 2014 elections. However, the very fact that the Pope is visiting a BJP-ruled state will send good vibes to the minority Christian community,” he added. It will also work in favour of the BJP’s global image as the papal visit will hog international headlines. When asked whether the Church is worried about the BJP extracting political mileage from the papal visit, the coordinating priest said that it has an open policy towards all political parties. Incidentally, this ‘openness’ between the Catholic Church and the BJP is not a standalone development, but part of a strategy to work in tandem. The BJP, it is learnt, has been consistently working on rebuilding its relationship with the Church and has even deputed a Kerala-based party sympathiser to arrange meetings with various Christian leaders. The party had a good rapport with the Church when it was in power at the Centre. 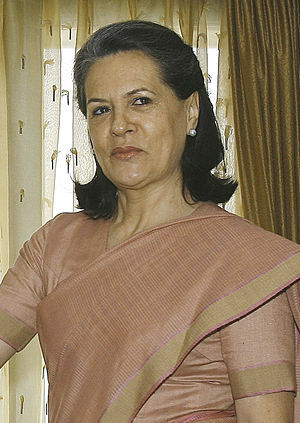 However, the Church shifted its loyalty when the Sonia Gandhi-headed Congress party came to power. Now, the Church is again keen on reviving its equations with the BJP. “It has sensed that the Congress’ time is over and that the BJP’s chances are getting stronger,” said a Goa BJP leader. This revived bonhomie was evident when the Church invited Gujarat Chief Minister Narendra Modi to visit Rev Moran Mar Baselios Cleemis Catholicos, the head of the Syro-Malankara Catholic Church, when he had visited Kerala to take part in the Sivagiri Mutt’s silver jubilee event amid high voltage protests by the Left parties. The Cardinal, who was part of the conclave that elected Pope Francis, was said to be ‘keen’ on meeting Modi. The plan was that Modi would drive from the airport to the Church headquarters. Though the meeting had to be cancelled in the last minute due to ‘other preoccupations’ of the Gujarat CM, the BJP has been holding one-on-one meetings with Church leaders. The fact that Modi was the chief guest at the National Consultation of the YMCA Brand Building in Ahmedabad last month is also seen as a pointer to the increased amiability between the Church and the BJP.